It happened 40 years ago, on Valentine’s Day 1979. The US ambassador to Afghanistan, Adolph “Spike” Dubs, was kidnapped and killed in circumstances still clouded in mystery. It remains one of the most troubling cold cases of the Cold War, as detailed by multiple eyewitness accounts and an investigation by the State Department into his death. Largely lost in the resulting controversy was the nature of the man himself. Spike Dubs was one of the State Department’s best, a man deeply admired by his colleagues. “He was such a connector, almost everyone felt like he was their friend,” says his daughter Lindsay Dubs McLaughlin, who was 25 when her father died. Now a grandmother living north of Washington, she says her father had an enlightened view of international affairs. Dubs’ former staffers speak fondly of the leader who was violently taken from them. 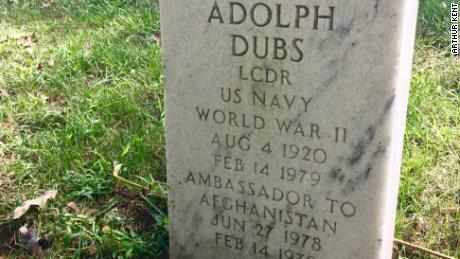 Dubs earned his stripes in the darkest hours of the Cold War. He was in Moscow during the 1962 Cuban Missile Crisis, translating messages between President Kennedy and Soviet leader Nikita Khrushchev, according to his daughter. Just seven at the time, Lindsay recalls her father coming down from the embassy’s top floor, to where she and her mother huddled with other American families. He reassured her. In the 1970s, Dubs was back in Moscow as chargé d’affaires, senior enough to come under constant surveillance by the KGB. 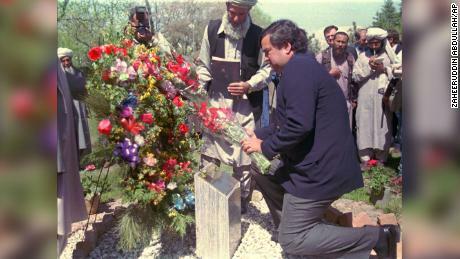 By the time President Jimmy Carter posted him to Kabul, Dubs was well known to the Soviet leadership. So when he was pulled from his car and held by armed kidnappers at the Hotel Kabul on February 14, 1979, the Soviets found the fate of a capable opponent in their hands. That’s because Afghan Communists, backed by the Soviets, had seized power in a coup one year earlier. The Afghan regime turned to its Russian patrons for help in responding to Spike’s kidnapping. “Very soon some plainclothes Russian guys showed up,” Doug Wankel recalls. “In my mind, I knew they were KGB, just by the way they comported themselves.” The Soviets, for their part, acknowledged a Russian presence on the scene but said Afghan forces were in command, according to the State Department’s report on its investigation into Dubs’s death. Four hours passed as US officials strived to make contact with the Afghan Communist leadership but were unable to do so, much less make contact with the kidnappers. 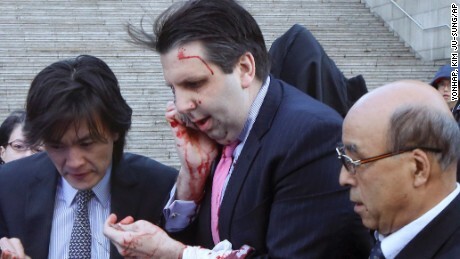 Bruce Flatin, the embassy’s political counselor, was allowed to call out to Dubs through the door of room 117. In German, which both men spoke, Spike was able to say he was all right. But after two brief exchanges, his captors broke off the discussion. Then, just before 1 p.m. Kabul time, 3:30 a.m. in Washington, one of the Russians signalled the troops into action, according to Malinowski. Three Afghan soldiers with AK-47s approached the room, according to Wankel. “They kicked in the door and went in,” says Wankel, “and then shooting immediately started.” It was a thunderous barrage, with three assault rifles firing on full automatic within the room, while five more riflemen positioned across the street poured streams of fire at the outer wall and window, by Malinowski’s account. When the firing ceased, Wankel and Malinowski, together with their embassy doctor and other staffers, rushed toward the room with a stretcher. Then four more shots sounded, pistol rounds, Malinowski says. The stretcher team paused, then entered. Physical evidence at the scene vanished. A third gang member captured alive was produced by the Afghan police hours later as a corpse. That was one of four bodies shown to the Americans, which included the two dead men found in room 117 with Dubs, and a fourth man they had never seen before, according to the State Department report. An autopsy at Walter Reed in Washington found Dubs died of “at least 10 wounds inflicted by small caliber weapons,” as summarized by the report. None of the guns were produced for US investigators, and it is still not known who fired the “phantom” pistol rounds, or even who the kidnappers were. Ten months later, Soviet forces invaded Afghanistan, triggering four decades of war. The aftermath of Spike Dubs’ death belied everything he stood for — particularly the United States’ prolonged and costly role in the bloody debacle. Previous articleWho is burning INEC offices? Why?